If Phoeung Sophoan has his way, Phnom Penh’s days as Cambodia’s capital city are numbered. Mr. Sophoan claims the project has the nod from Prime Minister Hun Sen, and all he needs now is $80 billion to build it. “If we study the history of any country, after you have great progress and then stability, you must have a new city,” Mr. Sophoan explained at his office on Tuesday. He said that Dragon City would provide Mr. Hun Sen the chance to place his mark on the country like only the nation’s Angkorian kings have done. “In the 12th century, we had Suryavaraman II who built Ang­kor Wat,” Mr. Sophoan said. “Now we are in the Samdech Hun Sen period—when we see this city, we will know this is the project of Samdech Hun Sen, the Dragon City,” the secretary of state said. The mammoth city—containing hundreds of buildings and high rises designed in a sort of eclectic neo-Angkorian meets sci-fi movie style—would be strictly zoned into residential, commercial, cultural, educational and tourist segments, which would be laid out to resemble the face of a dragon. “When you fly into Cambodia, you will see the lights like the head of a Naga, and you will know you are in Cambodia,” Mr. Sophoan explained. With the borders of the new capital beginning just beyond Phnom Penh’s northern fringes—where the paths of the Mekong and Tonle Sap rivers divert—Mr. Sophoan’s city would end northwest of Udong, the last capital before King Norodom moved his court to Phnom Penh almost 150 years ago. At the center of Dragon City, as its defining feature, will stand a 600-meter tall building, which would be the world’s second tallest if it is ever built. 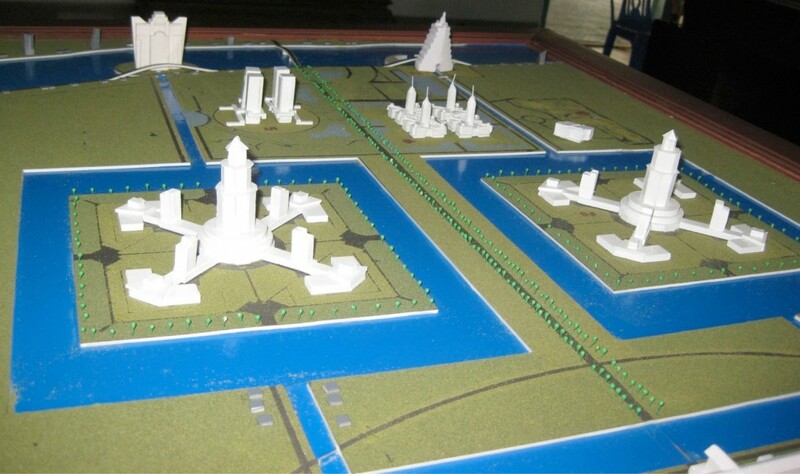 “[The building] will be 600 meters tall, and this one will have the headquarters for Hun Sen to control all of our country and see all of our country,” Mr. Sophoan said, illustrating the range of the prime minister’s lofty view with a map with nine blue arrows pointing outward from Dragon City to the farther reaches of the country’s borders with Thailand, Laos and Vietnam. 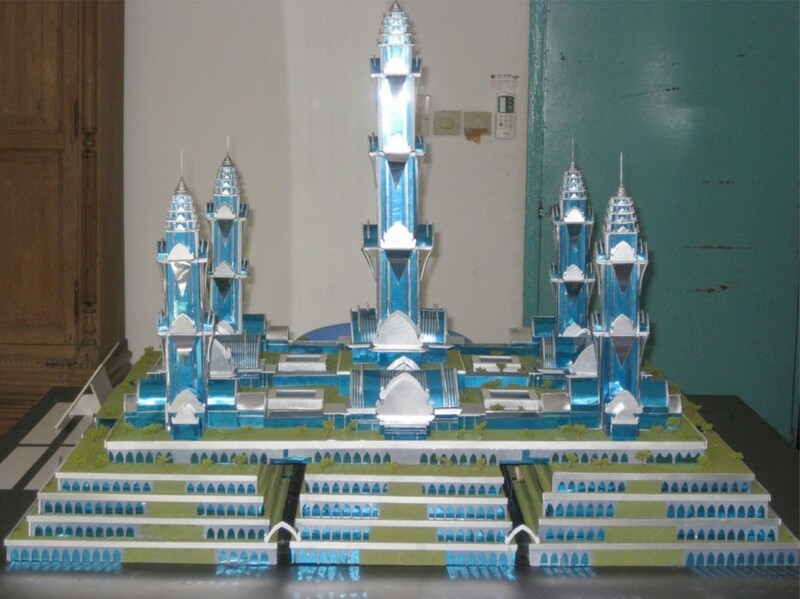 Mr. Sophoan, who was educated in architecture in France and returned to Cambodia in 1989, said that he began planning Dragon City in 2010 and pushed ahead after receiving a letter that year from Mr. Hun Sen expressing his approval of the mega-project tribute city. Mr. Sophoan claimed that plans for the city are progressing, and that a prominent construction firm based in Shanghai was in negotiations to help him secure the tens of billions of dollars he needs from Chi­na’s central bank to create his vision. Information about the Shanghai-based company could not be found online Thursday, and Lim Leang Se, deputy chief of the prime minister’s Cabinet, said Wednesday that he had never heard of Mr. Sophoan’s Hun Sen Dragon City. Mr. Sophoan’s project is not secret though. In the segment, Mr. Sophoan said that if China were to support the project, it would be “an architectural and urban planning revolution” and improve Cambodia’s image internationally. Mr. Sophoan’s plans for the new satellite city would be incredibly hard to realize for political as well as logistical reasons, said Simon Springer, an associate professor of geography at Canada’s University of Victoria who has studied Cambodia’s development over the past decade. “It’s likening Hun Sen to one of the Angkorian God-kings…. It’s intensively problematic,” Mr. Springer said. “The whole plan is beyond ambitious. Even where the funding could come from remains to be seen. Presumably, it would come from China—and China has numerous developments of entire cities like this that are al­most entirely vacant,” he said. Dragon City also would not be the first overly ambitious satellite city to fail. About a half-dozen similar de­velopments—all much smaller in scope—have been proposed over the past decade, with none having yet been completed and many scaling back after discovering a lack of demand. One of the most high-profile sat­ellites, the $1 billion CamKo City, broke ground in 2005 but ran into problems in 2011 amid accusations that its main South Korean investor was illicitly using deposited funds for business deals overseas. Another satellite city—CPP Sena­tor Ly Yong Phat’s 800-hectare Garden City—broke ground in April and is set to include a convention center, a national sports stadium, two ports, a golf course and an industrial park. Surprisingly, the land Mr. Sophoan has demarcated for Hun Sen Dragon City actually encompasses Mr. Yong Phat’s land. Stephen Higgins, who said in 2009 when he was CEO of ANZ Royal Bank that ANZ would not loan money to people looking to purchase property in satellite cities around Phnom Penh, said Thursday that Mr. Sophoan’s project was yet another pie-in-the-sky idea for a new city. “There’s no property development in the world that is worth $80 billion,” he added. In spite of the nay saying and doubters, Mr. Sophoan is confident Hun Sen Dragon City will be a reality one day.